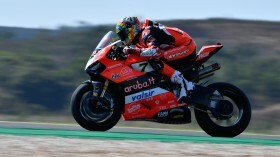 Davies: "I’ve felt progress during these days"
Chaz Davies (Aruba.it Racing – Ducati) makes his way back to the MOTUL FIM Superbike World Championship tracks after a summer break that was perhaps more eventful than the Welsh rider would have liked. Good news such as his renewal for two more years with the Bologna factory team has been overshadowed by two unfortunate collarbone injuries, the last of which occurred just two weeks ago. 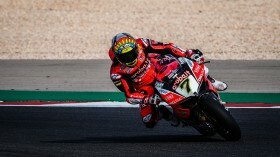 Davies will need to have his shoulder checked before getting the official go-ahead at the Autodromo Internacional do Algarve, and his fitness will be closely monitored by his team throughout the weekend, as they prepare for one of the most physically demanding circuits on the WorldSBK calendar. “The collarbone injury was just not ideal, but I felt progress during these days, which is the most important thing”, Davies confirms. “We're going to see how Friday goes and then take it step by step, without rushing things too much early on. I'm pretty sure I'll be OK once I step on the Panigale R, but we need to make sure we build our way into the round and avoid potential bumps on the road before the actual races”. The good news for the Aruba.it team is that the Welsh rider – second in the championship standings – remains as motivated as ever. 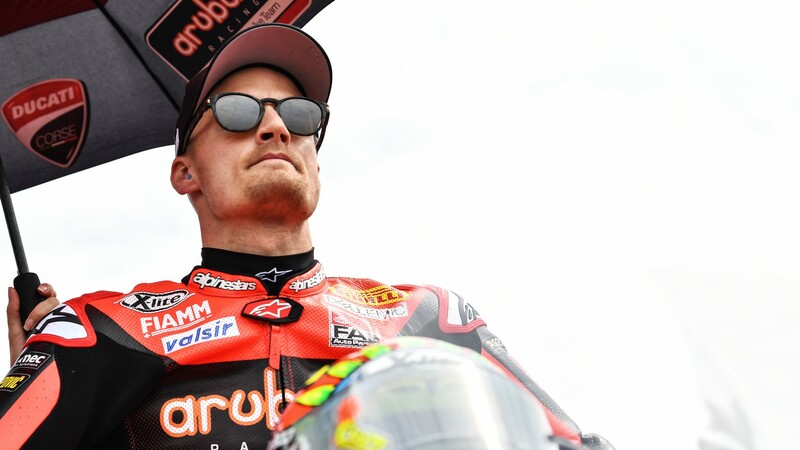 Facing his last eight races on his current machinery before moving onto the V4 in 2019, Davies will want to add to his impressive 25 wins on the Panigale R as soon as he can. The Welsh rider has never won in Algarve on a Superbike – he did score a victory here in his last World Supersport race – and, fitness permitting, will hope that the good feelings from last month’s Official Test continue through this weekend. “The test was OK, but track conditions should be cooler this weekend, so things can change quite a bit in terms of setup and feeling”, he admits. “We left the test with a good direction, so we just need to step back on the bike and keep working”. Follow the Nolan Portuguese Round LIVE from 14th – 16th September, starting with Friday’s FP1 at 09:45 local time (08:45 GMT), thanks to WorldSBK VideoPass. Davies: "I locked the front over the dirt"
Davies: "Magny-Cours forces you to push more each lap"